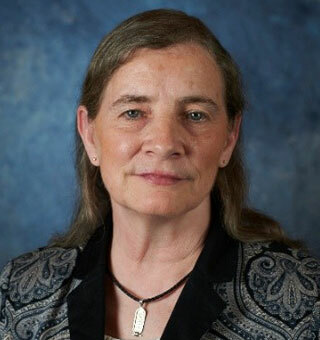 Anna Lysakowski, PhD, is a leader in the fields of neuroscience and anatomy, bringing extensive experience in scientific research to her role on the AHRF Board and Research Committee. Her dynamic career has included an experiment on the space shuttle, time with the Glasgow School of Art as a US-UK Fulbright Scholar in 3D Visualization of Anatomical Data, recognition by Who’s Who Lifetime Achievement, numerous scientific articles and book chapters, and leading-edge research on the morphology and protein composition of inner ear vestibular hair cells, the mitochondria, and the vestibular calyx ending. Currently a Professor of Anatomy and Cell Biology at the University of Illinois at Chicago (UIC), Lysakowski has served as a regular member of the Integrative, Functional, and Cognitive Neuroscience (IFCN) Integrated Review Group (Section 6) of the National Institutes of Health (NIH), reviewing applications within a broad range of neuroscience research. She also has served on review panels for the National Aeronautics and Space Administration (NASA) and the National Science Foundation (NSF). In addition, Lysakowski herself is an NIH, NASA, and AHRF grant recipient. Early in her career, Lysakowski received the R.R. Bensley Award for Outstanding Cell Biology Research (now called the Young Investigator Award), which is presented annually by the American Association of Anatomists (AAA) to a single individual who has made a distinguished contribution to the advancement of anatomy through discovery, ingenuity, and publications in the field of cell biology. She belongs to several professional organizations, including the Association for Research in Otolaryngology (ARO), where she has served on the Program Committee; the Society for Neuroscience (SfN), where she has served as President and a Board member for the Chicago chapter; the American Physiological Society (APS); the Bárány Society; the American Society for Gravitational and Space Biology (ASGSB); and AAA, where she has served on several committees, including the Educational Affairs Committee, the Educational Outreach Grant Awards Committee, and the Henry Gray Distinguished Educator Award Committee. Lysakowski holds a PhD in Anatomy from UIC. She received additional training at the University of Chicago and its Marine Biological Laboratory (MBL) in Woods Hole, Massachusetts. Her research interests include vestibular and cochlear peripheral anatomy, physiology, development, and efferent innervation.